Recently in a SAP PI migration I have had to configure a SAP PI AEX of SAP PO 7.5 in HA with two instances. I have applied note 1614690 – Process Integration >=7.3 AEX – High Availability and apparently was working as intended. Essentially you have to identify some parameters and use it in Java System Properties and destinations in Netweaver Administrator. But after some tests with one of the instances down I’ve seen the Cache was not updating correctly and some more stuff like SOAP WSDLs from ICOs always shows an instance’s url instead of webdispatcher ¿Why? The reason is in CIM instances in SLD. And for generate the wsdl from ico with url WD you should change the SOAP Port, etc. 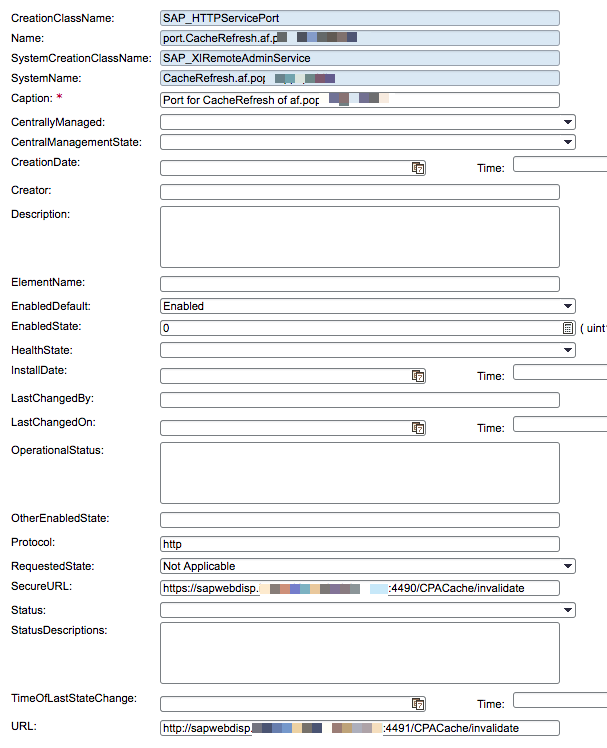 So you have to change all specific port entries with an instance url for one with webdispatcher url. If you have detected any other parameter no specified in the oss note that you have been to change it, feel free to comment.